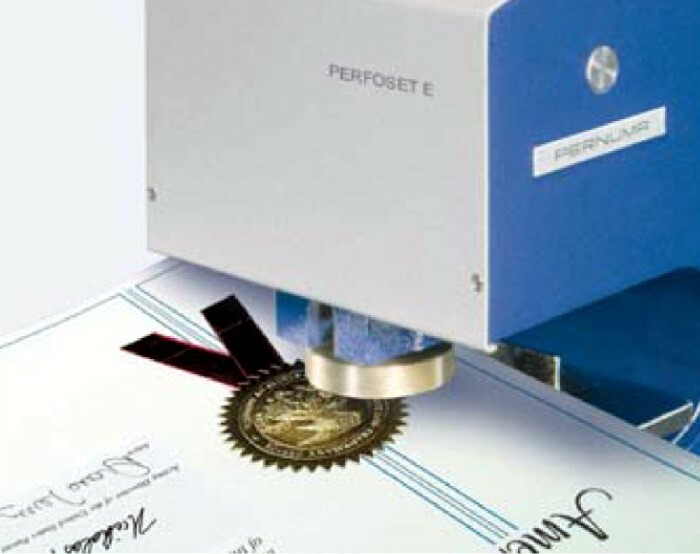 Our paper embossing machines Perfoset P are most suitable to highlight the importance of special documents and certificates issued by national authorities or to pimp business cards or business documents and letters. 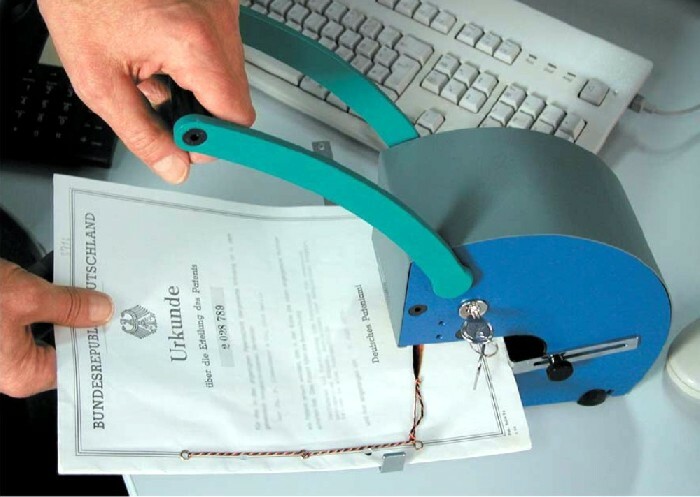 These machines will place a name and a symbol or emblem on the document, which is not printed but embossed. The counterfeit of this marking is very difficult and complicated, therefore, this marking is very secure on state-issued documents. 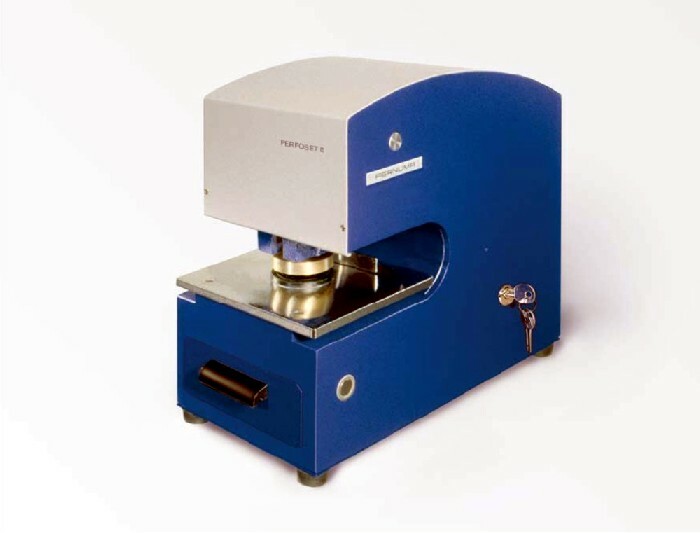 The logo or the text is engraved in special dies, which consist of an engraved brass stamp and a rubber counterpart, which can be adjusted exactly to the paper used. Using always the same type of paper will also improve the quality of the embossing. Our embossing machines are available in 5 different models, two manual and 3 electric machines. The main differences are the insertion depth, the diameter or size of the embossing and the power transmission.